Do you have a dinosaur fan at home? Yes?! I thought so! 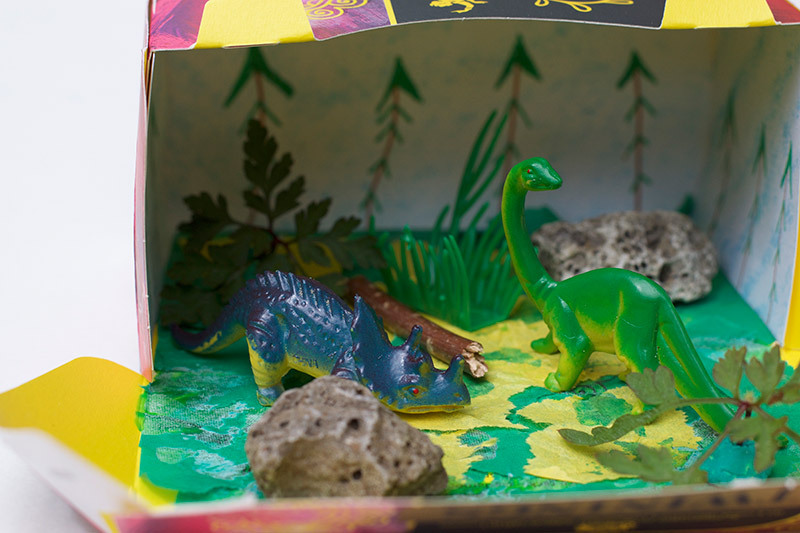 Here I show you how to inspire your child to make a dinosaur habitat box! There’s something so fascinating about dinosaurs isn’t there? It’s awe inspiring to think that dinosaurs lived before humans even existed – the mind boggles when you really think about it! My son is very interested in dinosaurs at the moment. He loves reading about them, building them with legos and creating his own dino worlds. 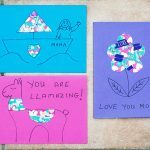 Dinosaurs can really spark the imaginations of kids of all ages and make a fantastic topic for kids crafts and creative play. 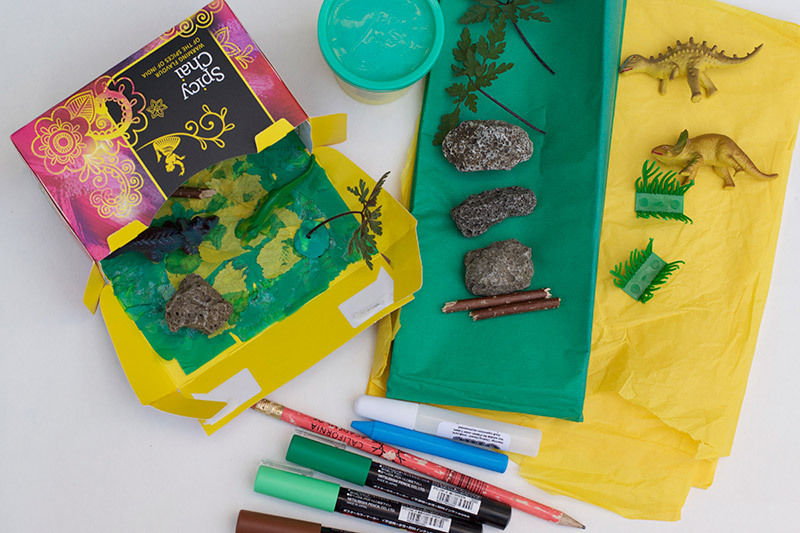 Your child will love creating their own little dinosaur world in a box – you can make this with things you already have at home. 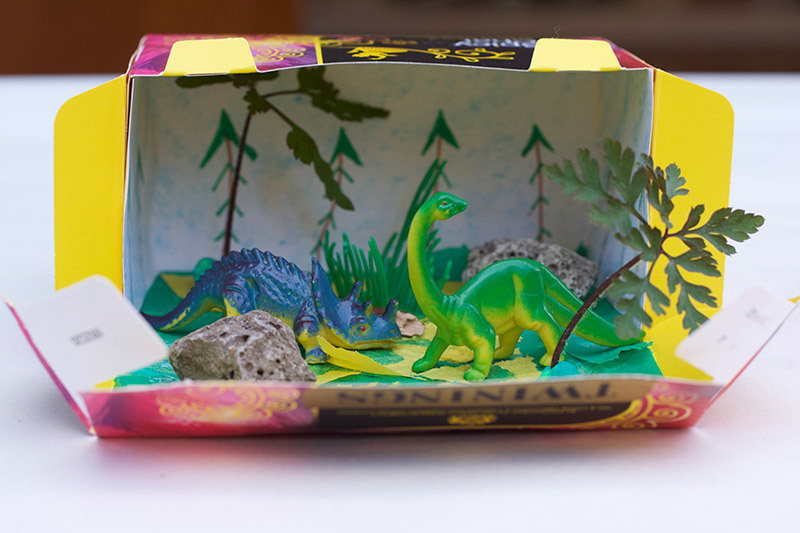 This dinosaur habitat box is really easy to make. You only need a few simple materials, which you can find easily in the house or garden – so no panic about complicated materials! The only thing you definitely need is some toy dinosaurs – and I’m sure you have some of those lying about! If not you can pick up some super cheap ones online. You can use any size box you like – we made a miniature box using a tea bag box. But a larger box, like a shoe box would work really well – and be good for creative play. The great thing about this activity is that it’s completely open ended. 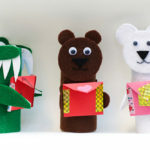 Kids can decorate and make the habitat box however they like, using the materials you have available. I’ve included a list of suggested materials, but feel free to come up with your own! You could use this activity as a prompt to be dinosaur detectives and find out more about the habitats that dinosaurs lived in. The best thing? 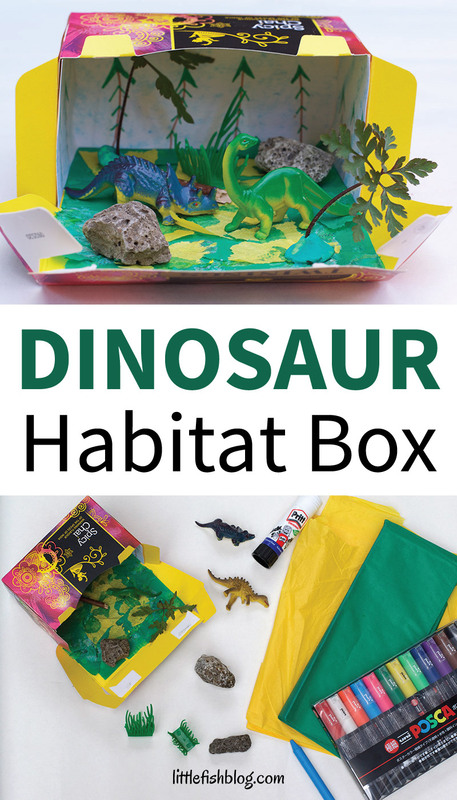 Set your children off making a dinosaur habitat box and they’ll busy themselves for ages – all whilst sparking their imagination and creativity. Hopefully you can grab a cuppa for a few minutes too! Tissue paper (assorted colours, especially green and yellow or brown). Anything else that you think they might want to use! 1. Simply lay out all of the materials and the dinosaurs on the table, work space, or tray. 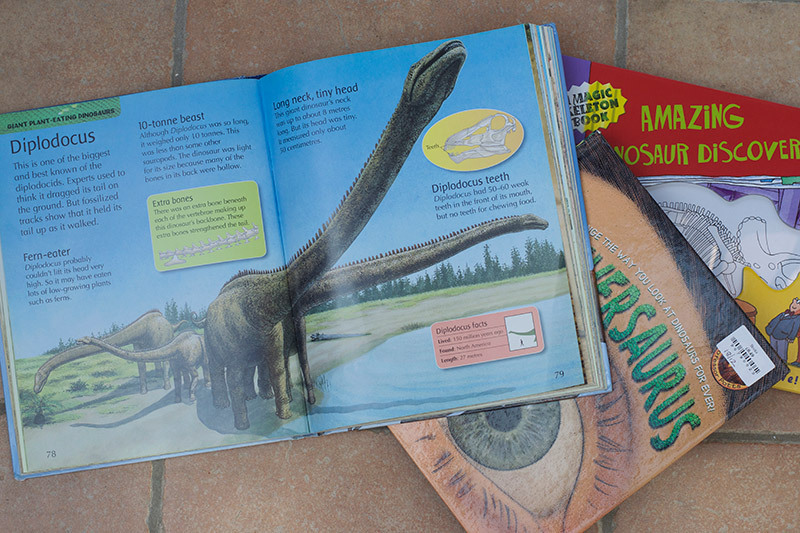 If possible put out some dinosaur books or pictures of dinosaurs in their habitats as inspiration. 2. Talk about the types of habitats that dinosaurs lived in. Dinosaurs lived on all continents and so would have lived on many types of terrain, from deserts or savannahs to forests, beaches, and swamps. There’s lots of great facts about dinosaurs over at the Natural History Museum and at the Smithsonian National Museum of Natural History. 3. 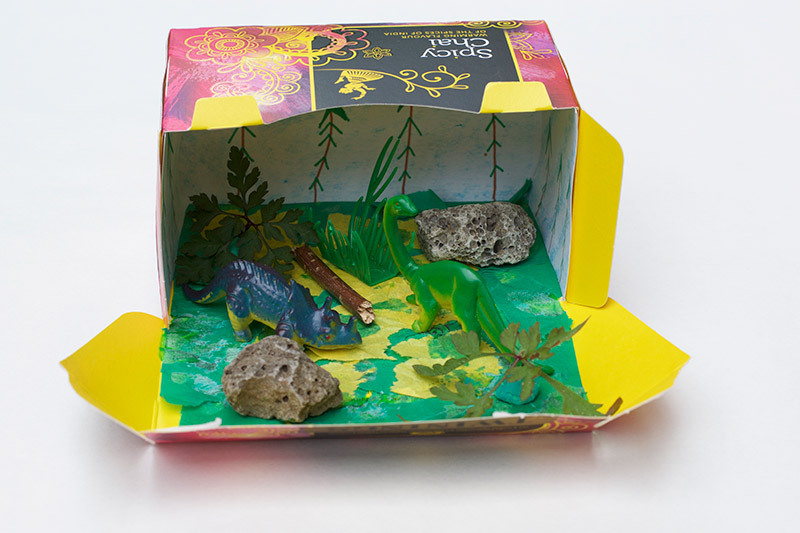 Let children look at the pictures and materials and come up with their own idea for their dinosaur habitat box. 4. 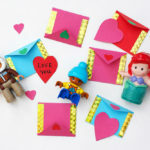 Let them get creative and imaginative!! In our habitat box we used tissue paper to line the box. Then added a background of sky and trees. We put in some real leaves, stuck down with play doh. Plus some real rocks and a stick to create a log. We had some plastic leaves, so those went in too, plus two small dinosaurs. Do let me know if you give this idea a try. I’d love to see your creations! It’s all about dinosaurs in our house at the moment, so keep a look out for more easy dino activities coming your way soon. 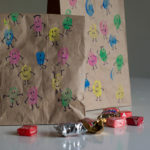 You might like my post on 20 Roar-some Dinosaur Party Ideas. In the meantime, don’t forget to pin this idea for later! This looks great! Dinosaurs are amazing creatures, and really spark children’s imaginations! And it’s great to make a craft that can then facilitate further imaginative play! wow, it so creative. how to made it? should we teach about dinosaurs to our kids?